Amazon Watch works to defend the environment and rights of the indigenous peoples of the Amazon basin. 2. URBANIZATION IN THE AMAZON BASIN: CAN INDIGENOUS PEOPLE SURVIVE? This lesson plan has moved to http://ladb.unm.edu/retanet/plans/search/retrieve.php3?ID=446 Your browser should automatically take you there, but if not, please click the link above. The AMAZON ALLIANCE works to defend the rights, territories and environment of indigenous and traditional peoples of the Amazon Basin. The Alliance is an initiative born out of the partnership between indigenous and traditional peoples of the Amazon and groups and individuals who share their concerns for the future of the Amazon and its peoples. Interns are needed to work in our downtown Washington DC office on a variety of issues including oil development in Ecuador and Peru, and aerial eradication in Colombia. COICA Coordinating Body for the Indigenous Organizations of the Amazon Basin The Coordinating Body for the Indigenous Organizations of the Amazon Basin (COICA) is a group that brings more than four hundred indigenous people together. It was founded in Lima Peru in 1982 in order for native people to be able to defend their rights, fight for the survival of their culture, and to exchange experiences in to find solutions to their various problems. Since 1992 COICA has made its headquarters in Quito, Ecuador. They have a Congress that meets every four years in order to make up policies and find new authorities. It is this group that comes up with official goals such as the desire to promote and develop the interaction between indigenous peoples and COICA members. They also want to be able to defend territorial restoration, indigenous peoples self-determination and the human rights of its members. An additional goal is to strengthen the unity for the region's indigenous peoples; and finally, to promote the cultural comeback and recuperation of the Amazon indigenous peoples. Today the group has accomplished such feats as allowing indigenous peoples to be educated in their native languages. They have also founded an Amazon Indigenous University. Both of these things are part of the push for recuperation and revalorization of traditional cultures. About Us Amazon Update Resources Contact Us ... About Us Forum Amazon Forum VI The Amazon Alliance for Indigenous and Traditional Peoples of the Amazon Basin held its sixth Amazon Forum on May 8-10, 2003 in Washington, DC. The Amazon Forum, which takes place every two years, is a unique opportunity for Amazonian leaders and environmental and human rights organizations to strategize together about how to protect the rights of indigenous and traditional peoples and the biological diversity of the Amazon Basin. This year, the Forum brought together over 85 participants representing 20 indigenous and traditional people's organizations of the Amazon Basin and 45 environmental, human rights, and support organizations from North America, South America and Europe. Leaders from indigenous and traditional peoples organizations as well as representatives of non-profit organizations from throughout the Americas worked side-by-side with a sense of urgency and a spirit of cooperation to develop strategic and collaborative work plans for the following two years. The environmental and support organizations selected new Steering Council members. The Steering Council met both before and after the Forum. We would like to take this opportunity to recognize and welcome new Alliance members: the Applied Studies Collective for Social Development (CEADES, Bolivia) and Global Response (US). This site was developped by Christof Daetwyler and Piers Armstrong as a web complement to the conference. http://lanic.utexas.edu/la/region/indigenous/ LANIC ) , based at UT Austin. LANIC's mission is to facilitate access to Internet-based information to, from, or on Latin America. Our target audience includes people living in Latin America, as well as those around the world who have an interest in this region. While many of our resources are designed to facilitate research and academic endeavors, our site has also become an important gateway to Latin America for primary and secondary school teachers and students, private and public sector professionals, and just about anyone looking for information about this important region. 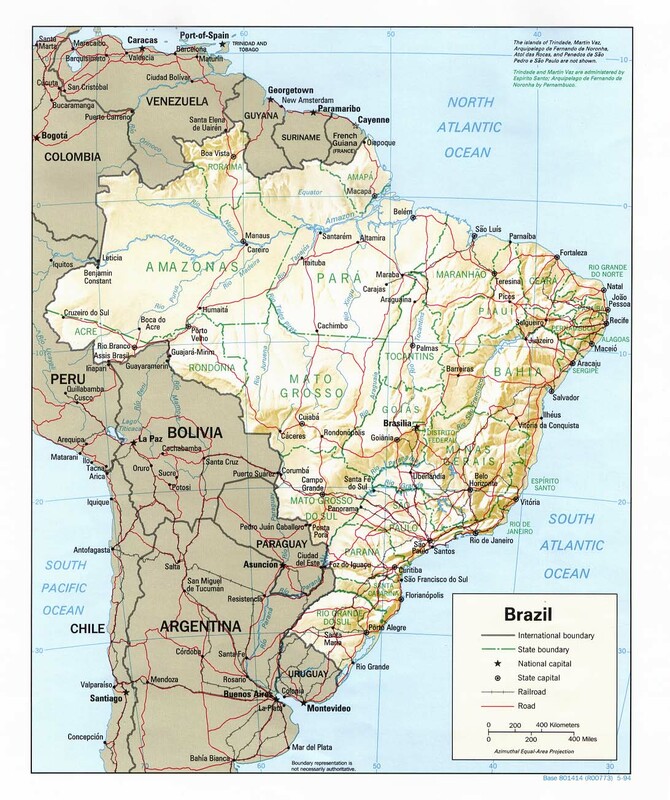 Affairs ... Overview Focus: Land Rights in the Amazon River Basin Project: Family Tree Focus: Land Rights in the Amazon River Basin Time and Place The Amazon River Basin is a lush rainforest extending into nine Latin American countries. It holds countless natural resources and is home to over 300 Indigenous Peoples. Many different groups have interests in the Amazon. The governments of Ecuador, Brazil and Peru use the land and resources to increase the income of their countries. Transnational corporations interested in extracting raw materials such as gold, tin, iron, and oil are also claiming land in the region. Many of these claims conflict with the ancestral homelands of Indigenous Peoples. Meanwhile, new contracts bring more industry to the Amazon. People UN/DPI photo: Joseane Daher In the Amazon today, groups like the Kayapo and Waiapi in Brazil, the Yanomami in Brazil and Venezuela, the Quichua and the Shuar in Equador, the Ashaninka in Peru, and the Aymara in Bolivia all face similar struggles in preserving their lands. Amazon Life Hot - Uses the Amazon as a basis for learning about rainforest ecology. Jungle Photos Hot - Amazon rainforest photos and information: animals, plants, native people, scenery, space images, conservation, travel, art. Links to Amazon-related sites: books, movies, retail products, tour operators, education, regular news updates. Amanaka'a Amazon Network - Supports the peoples of the Amazon Rainforest in their efforts to survive and work in harmony with their environment. Amazon Alliance for Traditional Peoples of the Amazon Basin - Partnership between indigenous and traditional peoples of the Amazon and groups and individuals who share their concerns for the future of the Amazon and its peoples. - Research project on sustainable development in Amazonia. Contains news and publications in English, Spanish, and Portuguese. BIC is not responsible for any 'sponsored links' that appear on this Google search. The legal department at the World Bank finally agreed to a long time indigenous demand to hold a roundtable discussion about the indigenous peopleÂs policy in the context of international human rights standards. It is expected to take place in Spring 2004.
working in Washington and internationally to improve the core MDB policies that are designed to protect indigenous peoples.